Has there ever been a moment during your morning routine, while parting your luscious locks, you said to yourself, “I do so wish my hairbrush was more connected”? 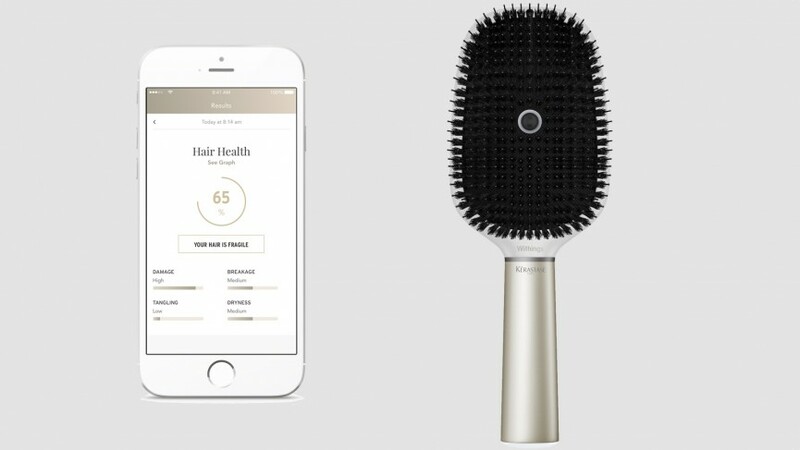 Well hold that thought you have almost certainly have never had, because Withings has partnered with luxury hair care company Kérastase, with a hand from L’Oreal’s Research and Innovation Tech Incubator, to bring you the “world’s first” smart hairbrush. If connected toothbrushes weren’t enough, you can now quantify the next part of your morning routine with a brush that scores you on the quality of your hair and and grooming technique – with all information fed back through an accompanying app, of course. Read next: Can a wearable make you a morning person? We jest a bit, but if your brush can really stop you damaging your hair because of your poor technique, that’s useful information. What’s at first baffling is the amount of tech inside, including a microphone for listening to the sound of brushing, some 3-axis load cells for measuring the force applied, conductivity sensors to detect how we your hair is, an accelerometer and a gyroscope. You’ll even get haptic feedback to alert you if you’re being “too vigorous”, says Withings, while things like humidity, temperature, UV, and even wind are taken into account before you’re told how bad/good you are at hair management. As data is collected, the app will offer bespoke advice on how to better look after your hair. At least you won’t have to do much beyond connecting it to the app, as Withings says everything is tracked automatically – all you need to do is start brushing. We’re told it will retail for the vague price of “under $200” and be available mid-2017. You’re stuck with your stupid dumb hairbrush until then.